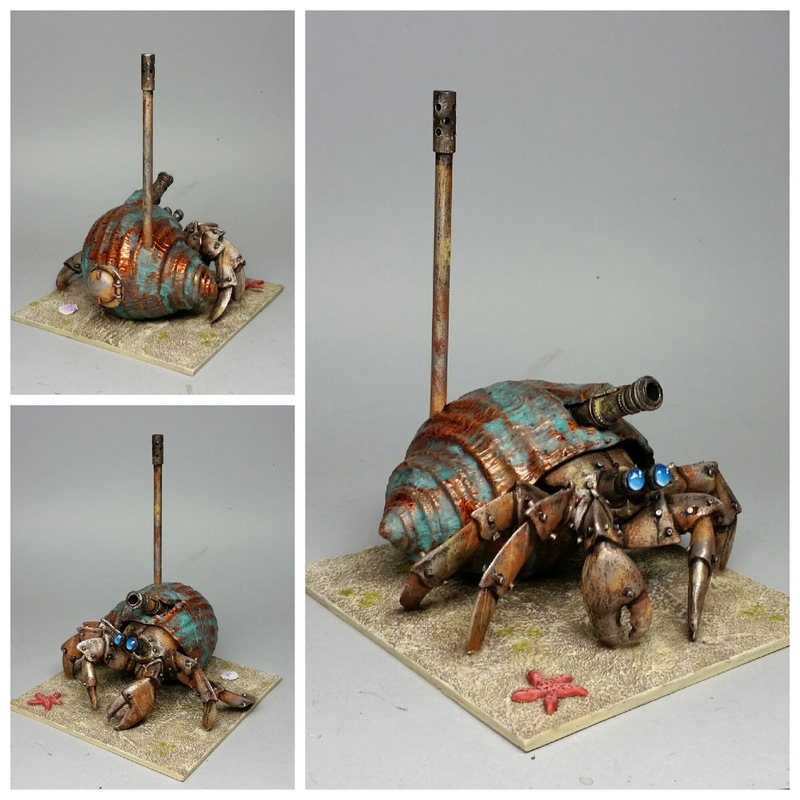 A few years ago, I did a "steam crab" amphibious assault craft, as a surprise for someone's pirate/nautical themed WFB army. I am giving serious consideration to revisiting this idea with a more futuristic "robocrab" for the Meat Hating Robot Pirates. While I do want an eclectic band of robots, I also want to include a a lot of nods to oldschool pirate cliches. So... something very similar to this (using the same toy as a base) but more sci-fi robot-y. No hatch or tall exhaust, but maybe a missile rack or something like that. Interested to see your futuristic take on the beast. Thanks. It was difficult parting with that figure. I will enjoy revisiting the concept.